Fantasy sports offer another level of engagement beyond passive viewership and create interest in games and events you might not otherwise care about. A Packers fan may not pay much attention to a Raiders game unless he has Antonio Brown on his fantasy roster. But if it can win him a playoff spot, you better believe eyes are glued to the TV. That’s all well and good, but fantasy sports also often prove useful for divorced dads. It may be the absolute right choice, but divorce is tough on everyone. Parent-child relationships often take a huge hit in the aftermath. Especially if you don’t have primary custody, the strain is real. Not seeing your kids every day is bound to have an impact. 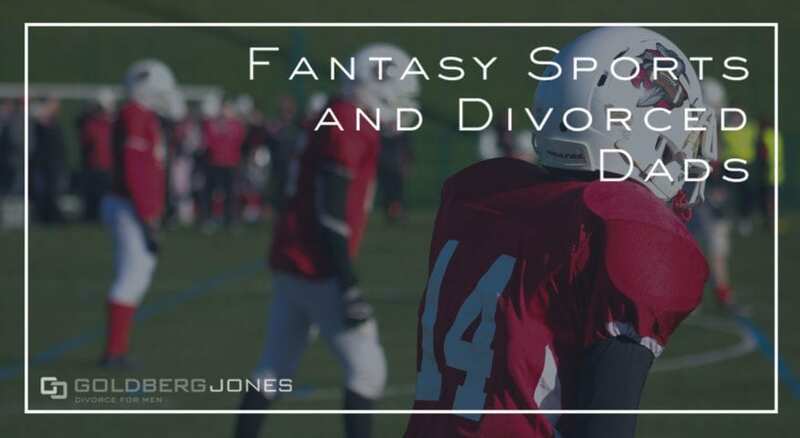 On the surface, it sounds frivolous and silly, but playing fantasy sports with your kids can benefit divorced dads in a number of ways. It helps develop skills, teach life lessons, and strengthen relationships, among other pluses. Fantasy sports represent a commitment. This isn’t quick, easy gratification. You have to pay attention and persevere through an entire season. The initial drafts take preparation and research. And once you have a team, you need to look at matchups, track injuries, dig into player histories, examine statistics, and more. Sure, you can set a roster and let it go, but to do it right, takes dedication and patience. It may be a game, but it can help instill these values in your kids. Math isn’t always every kid’s favorite subject. Some love it, others take some coaxing. Fantasy sports involves all kinds of math, from keeping track of points to breaking down statistics and more. It reinforces basic skills and concepts. Beyond that, you use math to predict outcomes and figuring out how many points you need to win can even involve concepts from algebra. It offers a fun, engaging, practical application for important math skills. To be successful in fantasy sports, you must take in a great deal of information, look at it critically, and make decisions based on what you see. You examine stats, prior performances, and maybe even weather conditions. Streaks, injuries, whether a ballpark favors pitchers or hitters, and so many other factors all come into play. Taking in all the available information and making an informed decision is something we do multiple times a day. Fantasy sports can help develop logic and comprehension in kids. No matter how much time and effort you put in, no matter how closely you scrutinize every last detail, you don’t always win. Coaches make bad decisions, players have off nights, refs blow important calls. You don’t always get what you want and even the best laid plans don’t always work out. For all its other value, added bonuses, and imparted lessons, fantasy sports are a fun activity you can do with your kids. It’s a way to spend time with them and bond. Following a split, divorced dads often don’t get as much of that as they used to. This is one way to remain an active, regular part of their lives. You can have a good time and connect. Sometimes it’s just that simple.